Robert Milkins admitted his 10-6 World Championship defeat by Mark Selby had rounded off a "terrible" season. 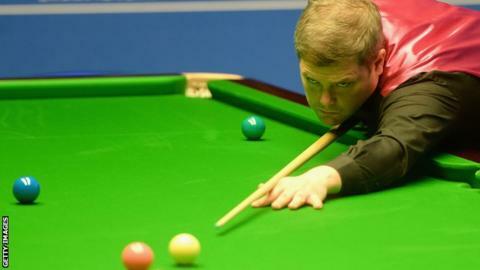 Having trailed 7-2 overnight against the world number one, Milkins won the first four frames on Tuesday but his comeback was foiled by a focused Selby. Milkins said: "It's been a bad season from start to finish, with no light at the end of the tunnel." Selby will meet world number 59 Sam Baird, who put out 15th seed Michael White, in round two. Milkins has been frustrated by his form, having not gone beyond the second round of any ranking tournament this season. The 40-year-old from Gloucester said: "It's been terrible. I qualified for this which means I've got ranking points but it's not what I really want. "I need a month off, to try to figure out what's going wrong. I've got to try to get that fluency back." Milkins praised Selby for grinding out a victory but took no solace in his own fightback, which saw get to within one frame at 7-6 down at the mid-session interval. He added: "I really fancied winning that game at that point, but once again I came up short. It really means nothing now, winning the first four frames."